A pumped-up five-door SUV-styled crossover, the Countryman brought a bit more practicality for MINI die-hards needing something a bit bigger for their growing families. 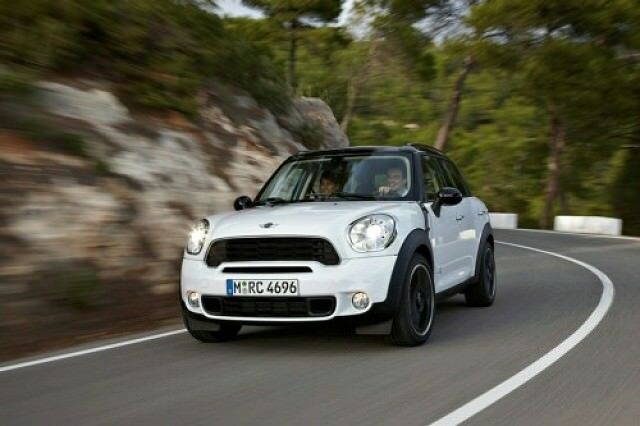 MINI's range expanded - dimensionally and numerically - when the company added the Countryman to the line-up in 2010. A pumped-up five-door SUV-styled crossover, the Countryman brought a bit more practicality for MINI die-hards needing something a bit bigger for their growing families. Despite its chunky off-road-esque styling the Countryman follows the regular MINI trim nomenclature, so there's the entry-level One followed by Cooper, Cooper S and (if you've got pots of money) John Cooper Works models that turn up the fun factor and performance a sizeable amount. Add a D to the back of those trim levels and it'll be diesel powered, which is rather unsurprisingly what you'll find under the bonnets of most of the cars in the used classifieds. MINIs come pretty well stocked specification-wise as standard, so even with a One you'll not feel like you're in a bargain basement model. The Cooper adds some glitter to the proceedings, but there's nothing essential missing in the One version. The Cooper S (and SD) adds more performance-orientated equipment, though it's relatively scarce due to its higher initial purchase price. You can expect alloy wheels, air conditioning and an aux-in socket among the standard kit, while MINI's usual Salt and Pepper options packs - and a host of other personalising tweaks - mean it's unlikely you'll find two Countrymans in the same specification. The engine line-up consists of a pair of 1.6-litre units (one petrol and one diesel) offering various outputs; One with 98hp, Cooper 122hp, Cooper S 184hp (turbocharged), One D 90hp and Cooper D 112hp. There's a 2.0-litre diesel Cooper SD too, which delivers 143hp, and the petrol-fuelled John Cooper Works model with 218hp. Despite the chunky off-road styling only a handful of models are offered with four-wheel drive, typically the more powerful cars. None are really built with farm tracks in mind, and while it's bigger than a standard MINI hatchback, it's still not the most commodious family transport. Very cool, though. Which is why it's so desirable. Forget the petrol models; the diesels offer the greatest choice and most sensible running costs. The One D is perfectly satisfactory, but given the Cooper D brings no increase in emissions (if you have it in front-wheel drive, manual form) then it's worth the slight additional outlay for its improved performance and equipment. The Countryman is a bigger MINI if you need a bigger MINI, but it's still not vast inside if you're after ultimate family transport. It counters with an enjoyable drive (on all versions, not just the expensive higher performance models), respectable economy and a decent level of standard equipment. Excellent build quality appeals too, so the Countryman is a desirable used choice.